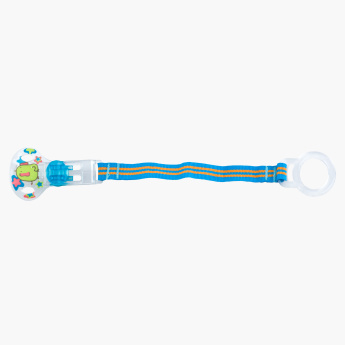 Nuby Striped Pacifier Clip | Blue | Prevents your baby pacifier from dust and allergens. 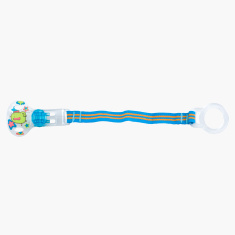 Keep your baby’s pacifier safe from unwanted dust and allergens by using this BPA-free clip. Easy to use, this striped pacifier clip is perfect for any type of pacifier. Feature 1 : Prevents your baby pacifier from dust and allergens. Feature 2 : Perfect for any pacifiers.